We are a company committed to the respect for the natural environment. Our processes of manufacturing and use of waste are adapted to current legislation in matters of environment. Being extremely respectful with our natural environment and the Kyoto Protocol. For this reason, and because we have a vocation for the future, Ataudes Gallego works to offer innovative solutions to a more dynamic and demanding market. 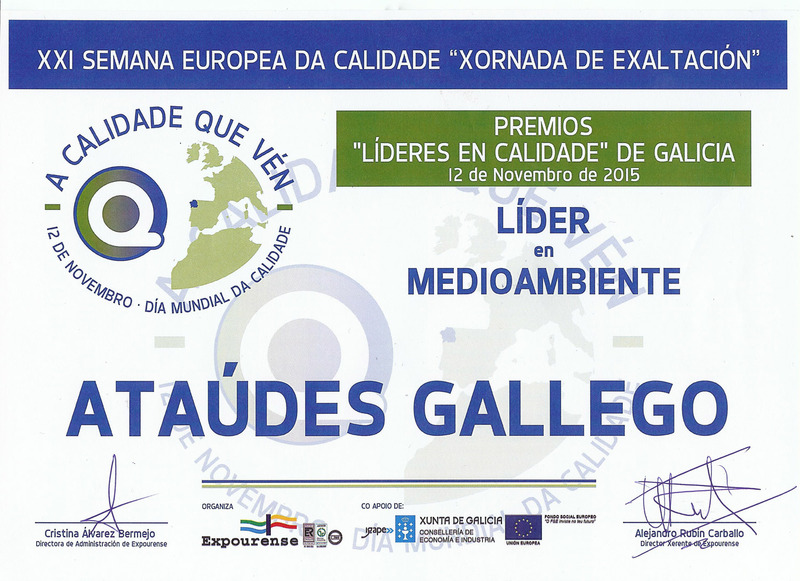 An evidence of that is the Environment Leader� award" with which the company has been acknowledged. Copyrigth � 2015 All rights reserved, it is strictly forbidden to use the contents of this website without the express written consent of the owner, failure to comply with this warning could result in legal liability for the infringer.